Arbaaz Khan and his alleged girlfriend, Giorgia Andriani, were seen making an appearance at a latest event. Celebrity fitness trainer, Yasmin Karachiwala, threw a lavish bash last night to celebrate the 25 years of her gym. While Katrina Kaif, Isabelle Kaif, Laila Khan, Atul Agnihotri, Chunky Pandey, Bhavna Pandey among others attended the soiree, Arbaaz and Giorgia’s entry surely made for a surprising sight. The two also twinned in black. While the Italian model wore a black top and pleated skirt, Arbaaz was in his usual best, wearing a black shirt and a pair of beige pants. The two smiled for the cameras and posed at the carpet outside the venue. 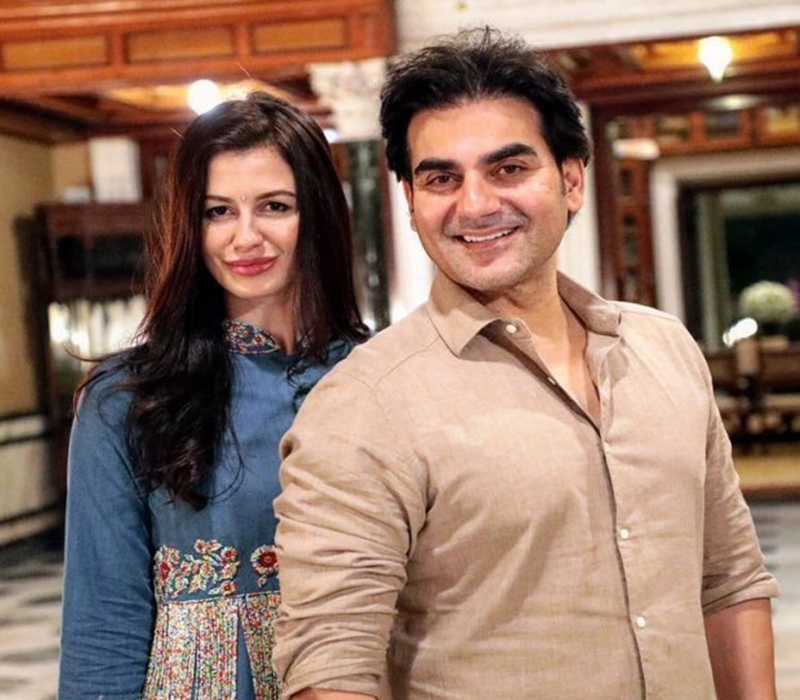 Arbaaz and Giorgia and now never seen without each other. Whether at family functions or at public events, the two make sure they have the company of each other. The couple is also spotted going out with their friends quite often. Giorgia also seems close to Arbaaz’ family. She is seen bonding with Arpita Khan and their mother, Salma Khan. Her pictures from Khan’s Ganpati celebrations and Rakhi celebrations earlier, surfaced in the grapevine. She was seen all decked up amid the festivities. Wearing traditional outfits, Giorgia dressed up to take part in the family functions.